Fire Note Says: It is the nature of the “Phoenix,” to rise up, lift off, and take flight – that is what David Bazan accomplishes on the return of Pedro the Lion. Album Review: It’s always a curious thing when an artist who is the dominant artistic driver in their band—singer, principal songwriter—feels the need to step away to make a solo project. You get it, of course, when the band in question is a cooperative, equally contributing musically to the whole, why someone might choose to step away and shape a more personal artistic statement. But when Jeff Tweedy needs to step back from Wilco, when he’s notoriously possessive of the band’s music and direction, you anticipate an all the more intimate expression. Similarly, anybody who knew anything about Pedro the Lion, knew that David Bazan was the heart and soul of the band, often playing most if not all of the instruments when recording, although he was joined by TW Walsh on Achilles Heel (2004), the band’s fourth album. So it’s all the more curious that Bazan, 15 years after the last Pedro the Lion album and with 5 albums worth of material under his own moniker, has decided to go back and try Pedro the Lion on for size. Perhaps, he rediscovered his love of the rock band format in 2017 when he reconnected the Walsh along with Jason Martin and Trey Many (both from Starflyer 59) to record an album as the band Lo Tom (2017). And so are we. One of the things that makes Phoenix so immediately listenable, is that Bazan may be returning to the medium that fueled his early work as Pedro the Lion, but he brings to it all the insight and musical sophistication of an artist who has been at his craft for over 20 years. Musically, Bazan brings a larger appreciation for musical dynamics, a stronger sense of melody and a more expansive musical palette, making this the strongest outing yet for Pedro the Lion. On “Clean Up,” he’s actually written a rocker with a chorus framed by a strong pop hook, and the album as a whole rings out with crunchy guitars and an engaging sing-along anthemic quality. While the front end of the album explores those inner feelings and emotions as Bazan remembers his childhood longings, the camera pulls back to a bigger, but no less existential portrait. In “Tracing the Grid,” Bazan compares driving through the old neighborhood in a rental car, seeing extended family who tell the familiar stories that often frame our own self understanding, while “Black Canyon” tells of an uncle’s story about being called to clean up the bloody aftermath of a man who stepped in front of a semi on the highway. The final trio of songs – “My Phoenix,” “All Seeing Eye” and “Leaving the Valley” – wrestle with the love/hate tension that comes from deep reflection on all the went right and all that went wrong, and the geography that shapes how we remember, and what finally we have learned from the past. “How will you stop a rolling stone?” Bazan asks “Before you’re finally home, finally done running.” Again and again, artists, writers, psychologists and philosophers return to this time honored territory, and Bazan brings his own world weary voice to the questions of life’s meaning and purpose, and the result is art that connects and strangely enough is uplifting as it honors the deep human yearning for understanding. And it doesn’t hurt at all, that Bazan, supported by Walters and Lane, bring a rocker’s aggression and creative energy to the subject. The music provides the muscular structure needed to carry these heavier ruminations without them weighing one down. In fact, the compelling musicality of Bazan’s melodies, spark a grounded intensity that is downright infectious in the interplay of the bold guitars, and solid backbeat of bass and drums. 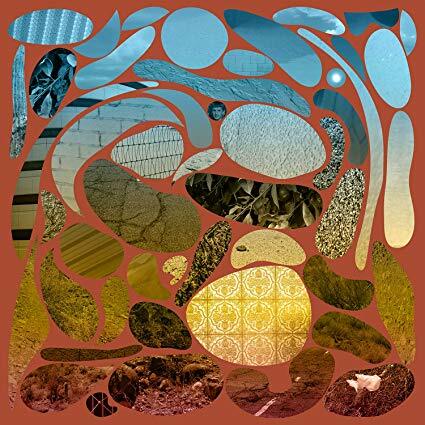 Which points to the other meaning in the title, it is the nature of the “Phoenix,” to rise up, lift off, and take flight, and thankfully Bazan brings that potent drive to this long awaited return to Pedro the Lion.